* Really cool self-adhesive embellishments made of a hard plastic. 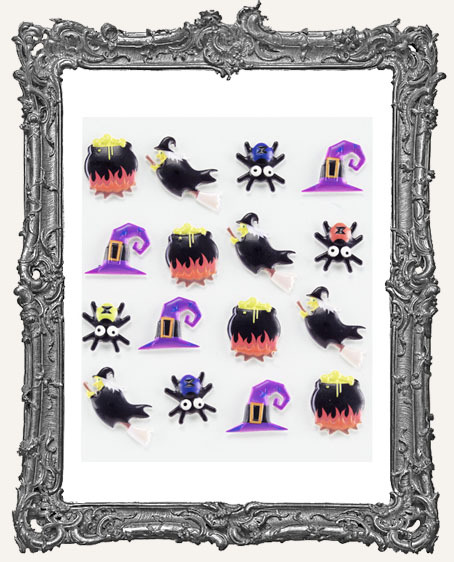 Witches flying on brooms, cauldrons, witch's hat and spiders. * You get 16. The entire sheet measures 4" x 5". * Flat backed & adhesive backed. * Great for ATCs, shrines, card making, and more!